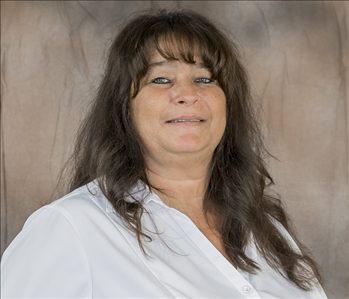 Owner, Adatha Myers who love to keep the jobs rolling and insuring the customers needs are being met for all jobs. She also enjoys helping the youth in the community by supporting local youth sports and other activities. 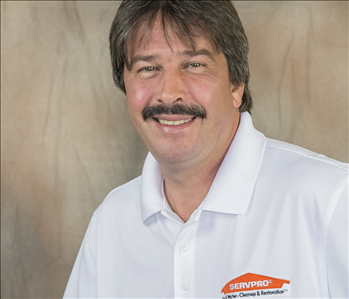 Marlin Myers is one of the SERVPRO of Chambersburg's owners. Marlin comes from a general construction background for with more than 20 years of experience. He began his dream to help family's when they were experiencing damages to their home about three years ago. Marlin enjoyed working with each and every homeowner and making all the work go smoothly for them. 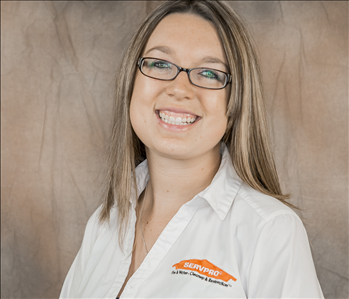 Brittany is the General Manager for SERVPRO of Chambersburg. She has been a part of the SERVPRO team for over 6 years. Brittany originally starting as a Production Tech, then to Marketing Rep, then to General Manager. She specializes are in Water Damage, Commercial Water Damage, Business Development and Employee Development. Brittany is certified is Water Damage from the Institute of Inspection Cleaning and Restoration Certification (IICRC). She also frequently attend's various continuing education classes to expand her knowledge as a leader and sales manager. 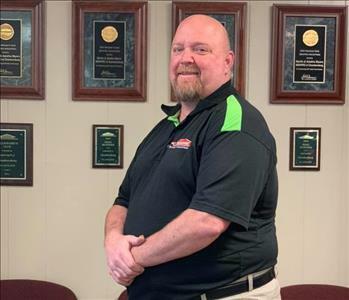 John Thompson is a production technician at SERVPRO of Chambersburg. John has an eye for details in cleaning and carpet cleaning. He has a warm personality and easily bonds with everyone. His favorite part of SERVPRO is Family oriented, understanding that upper management has the employees needs in mind, and a variety of different jobs. His goal over the next 10 years is able to run the crews and jobs independently. His hobbies are hunting, riding motorcycle & family function. 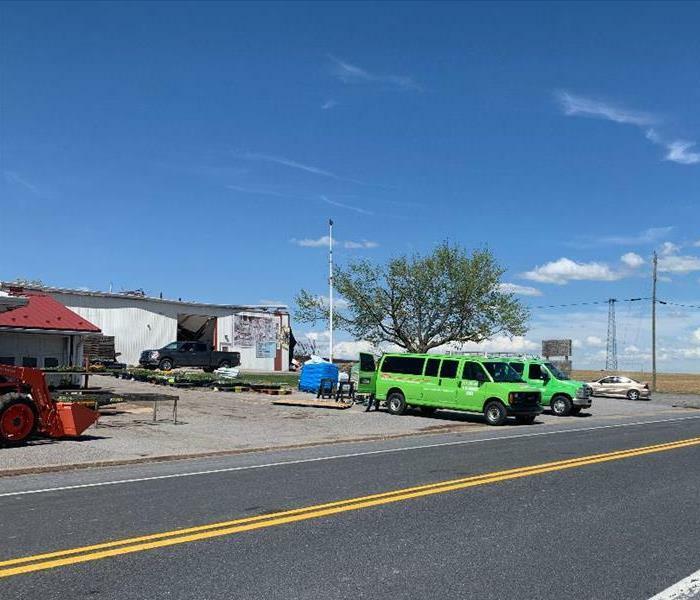 What he learned about the fire and water restoration while working at SERVPRO is how in depth and scientific that goes in to water & fire loss. How much damage can be beyond the surface. 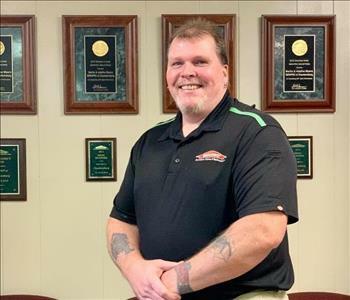 Production Tech, Thomas S joined the SERVPRO team Summer of 2018. has completed our rigorous SERVPRO Employee Certification Training Program. This program teaches advanced cleaning and restoration techniques and how to properly use our state-of-the-art equipment. This training program also focuses on listening skills and customer service. His former work history consists of warehouse industry. Over the next year his goal is to purchase a newer vehicle and to become certified in the restoration industry. 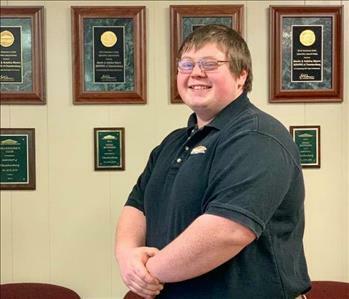 His long term career goal is to own his own trucking business similar to his father's. In his free time he enjoys relaxing and playing video games. One of Thomas's accomplishments is his independence he established at a very young age. Upon learning about the restoration industry he was most shocked to learn how much damage water can do and go undetected without meters. Production Tech, Joe F joined the SERVPRO team fall of 2018. He comes from a long work history in the fast food management industry. Joe has also served in the Marine Corps. His goal over the next year is to have a new car and long term goal is to be debt free. During his free time you can find him throwing darts or shooting pool. He's most proud of his 4 children and 3 grandchildren and 1 more grandchild on the way. He enjoys the variety of work at SERVPRO and he was shocked to learn how detailed the services are like biohazard and fire cleaning. Tornado and Hurricanes in PA?